It’s an amazing fact that the 1975 vintage in Bordeaux is still “controversial” (i.e. people still can’t make up their minds about it) after fully 35 years. It was a very hot vintage, the sort that is always hailed as great, and the wines were dark and concentrated, with high levels of tannin. There was ample fruit but many judges thought that tannin levels were simply too high. An underlying bitterness and astringency awoke fears that the ‘75s would never “come round”. The biggest tasting of ‘75s I ever attended was held a couple of decades ago in Malmö, in the far south of Sweden. It was hosted by Professor Nils Sternby, a world-renowned pathologist, who over many decades had built up a collection of rare, mature wines that must have been one of the finest on earth. I’d already visited him a number of times and had much appreciated his disarming habit of serving up generous dollops of Russian caviar the moment you crossed the threshold, invariably accompanied by a top champagne, after which we all sat down to dinner and tasted (and drank, let’s be honest) wave after wave of fascinating wines, many of them half-a-century old or even older. You often got through thirty or more wines in the course of the evening, emptying each of your array of four glasses whenever you wished, so as to make room for the next. You could of course hold back a glass of anything you particularly cherished. There was never any pressure to empty a glass so nobody got drunk. Every wine was tasted blind and each and every guest did their level best to identify the name and vintage of each successive bottle. Conversation flowed. There was much laughter. Many accurate guesses were made, and just as many mistakes. But back to the mammoth tasting of ‘75s. About 80 people attended from all over the world, including quite a few Bordeaux proprietors. Names that spring to mind include those of the Manoncourts (Figeac), Bruno Prats (Cos d’Estournel), and Anthony Barton (Léooville-Barton). There were also a number of UK wine bigwigs. On the day, two wines stood head-and-shoulders above the rest: Pétrus and La Mission Haut-Brion. Though clearly able to improve for decades to come, both had already achieved a kind of harmony. Several others looked extremely promising, even if they were still closed up and very tannic. Among them were Latour, Las Cases, and Figeac. I felt sufficiently sure of the first two to make sure that I secured some bottles of each as soon as I was able to. Over the years I’ve popped the corks of a few ‘75s, with mixed results. A Château Magdelaine, which had seemed so promising in the early years, was drying out. A Palmer was smooth and quite concentrated but was somehow supine. A Léoville Las Cases, still a bit harsh a few years earlier, seemed to be turning into a lovely, classic claret, smooth and nuanced and with a long finish. As to Latour: I tried a bottle about a decade ago and found it still hard and, as the French say, ingrate. So I forgot about it until recently. The imminent arrival for lunch of a wine-loving friend with exacting standards “concentrated the mind wonderfully” – we always try to outdo each other when serving wine blind as alternating hosts. I remembered that I still had some ’75 Latour in the cellar and now seemed as good a time as any to see how it was faring. As an insurance, I also stood up another bottle of claret that I knew to be exceptional – tasting a wine that doesn’t show well is one thing, but actually drinking it quite another. The colour is deep and youthful and the nose, with the Cabernet-Sauvignon in the ascendant, is big and masterful, a meld of black fruits, tobacco, chocolate, sealing wax, and smoke. The flavour is full and powerful, for the first time showing that special, mellow sweetness of fully ripe grapes. The aftertaste is rich and protracted, very forceful, with underlying complexity and the promise of great depth. It’s still very young at 35 years – about two-thirds towards full maturity – but despite a residual rigidity has definitely turned the corner and is destined for greatness. The previous bottle, years earlier, had shown an old-fashioned hardness, with hints of prune and rusty nail, of gritty tannins. Rigidity has now turned to smoothness and the texture is velvety, almost voluptuous. For one fleeting moment it’s uncannily like an Haut-Brion, evoking chocolate and tobacco, then the Pauillac personality reasserts itself. Should peak around 2025 and will surely improve for a further decade or so. Another leading grower was convinced that his ‘83s were going to turn out great, and continued to insist on this for many years. “I remember some of my father’s wines tasting like this,” – an overripe, gamy aroma – “but they shed that characteristic in time and turned out great.” He ceased to mention the vintage some time ago – the wine is drying out. I’ve even had mixed experiences from the great ’90 vintage, with some top-level reds oxidized. The best ’90 I’ve tasted so far was a wonderful Volnay Santenots du Mileu from Lafon – a truly delectable bottle. Older Burgundy years that have made a deep impression include ‘85 – just getting into its stride – ‘78, ‘72, ’69, ‘64, ‘62 (some gorgeous examples from Domaine Leroy), ‘57, and ‘52. Regarding the latter pair, l’ve noticed that years that are “hard” in the Médoc often give excellent results in Burgundy. This was certainly the case with those two vintages from the 1950s. 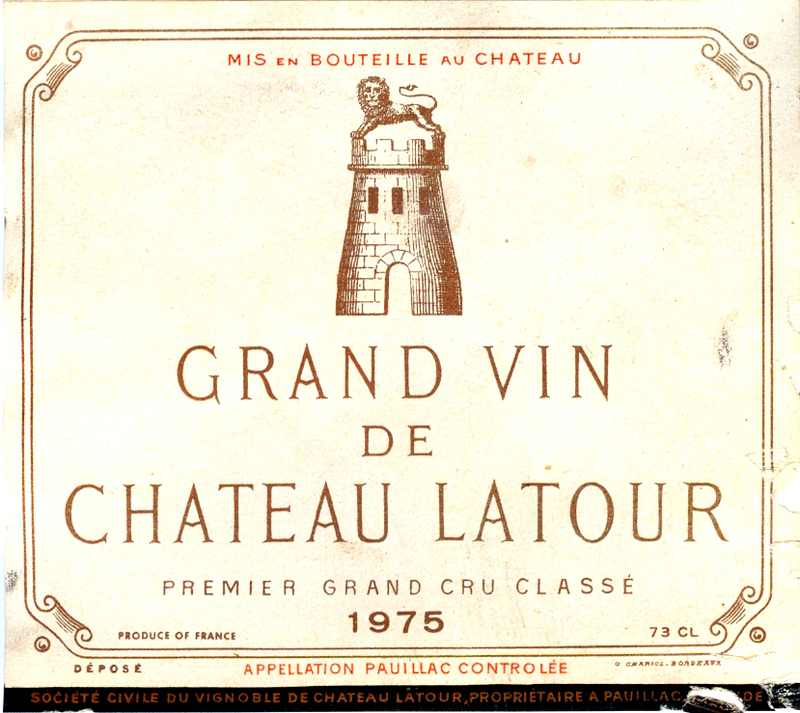 (The hot ‘75 was an exception – some Burgundy estates didn’t even bother to bottle their ‘75s). The greatest red Burgundy I’ve ever tasted was a 1928 Chambertin from Louis Latour. lt was as close to perfection as one could hope for. Noël Latour, our host, burst out laughing as my travelling companion, Mike, patted the bottle gratefully. Close behind this fabulous wine were a ‘69 Clos Saint Jacques from Rousseau, a ‘69 Chambertin from Trapet, a ‘71 La Tache from DRC, and a Chambertin ’62 and ‘64 from Domaine Leroy. One of the oldest Burgundies I’ve ever drunk was opened for me by Charles Rousseau of Domaine Armand Rousseau. “I don’t know the vintage, except that it was bottled during the first world war,” he told me. “My father was in the army so my mother bottled it and forgot to put the vintage on the label!” The colour was very brown but still glowed. While clearly past its best, it was still enjoyable. The Chambertin character was unmistakeable. The robe is a nuanced purple-crimson while the unique bouquet, which spreads like rays of the sun, evokes plum jam, raspberry, strawberry, and pomegranate. On the palate. tendrils of sub-flavour go off purposefully in all directions. Taut and harmonious, the wine has great volume but little weight, with an aftertaste that’s smooth, full of energy, and of phenomenal length. As with all great wines, you’re impelled to go back to the ever-expanding aroma, which is a revelation – broad, masterful, and intricate. A wine full of finesse, that rarest of qualities, with perfect tannins and a haunting suggestion of oriental spices. At 13 years, this looks about 8-9 years’ old. The aroma is round, full of nuances, and very refined, conjuring up red fruits, bilberry, peony, and clay. The silky flavour is long and very complex, with the exquisite Pinot Noir fruit underpinned by perfect ripe tannins. There is a host of fascinating sub-flavours. While not as weighty as a top claret like Château Margaux, this Grand Cru Burgundy has a similar structure and innate longevity. At best around 2020-25. With the depth and intensity of colour of a Grand Cru (this is only a “village”! ), the wine has an arresting, ferruginous aroma of plum jam and cloves. In fact, the colour is so dark, the aroma so solid, that I initially guess Bordeaux; when this is denied, Rhône. From then progress is fast. “If it’s Burgundy, it’s not from the ‘80s, ’70s, or ’60s, it has to be from the ’50s. Yes? In that case either ’57 or ’52.” This was confirmed. By sheer luck, I go for ’52 (probably because I’ve tasted more ’52s than ’57s!). I went through the same reasoning process some years earlier, when I’d been invited to lunch at the Swedish Wine & Spirits monopoly, together with Christian Pol Roger. As usual with professionals, the wines were served blind. Christian got the Champagne (a Krug) and I had a go at the red. Here again I first guessed claret then Rhône before realizing that, despite the untypically dark colour, it had to be Burgundy. Once again I plumped for ‘57 and ’52; once again I opted, rather uncertainly, for ‘52 –fortunately for my self-esteem, as that’s what it was. Visiting Christian Pol Roger at his home in Epernay I was served an amazing red at lunch. This time I managed to guess Burgundy right away. “And it’s at least twenty years old” I said. Christian laughed: “This wine is older than anybody in the room!” he declared. Jacques d’Angerville wrote back to me to say that the Domaine had sold some 1914 Volnay Champans to a merchant at RulIy, but that was the only transaction of its kind in the Domaine’s history. As to Clos des Ducs, this had never been sold in bulk. Thus a very tenuous guess, though refuted, did at least elicit a tiny scrap of background information about a great Burgundy estate in the second decade of the 20th century. Remembering that a few bottles of 1985 Volnay Clos des Ducs are still lying in the cellar, I resolve to go down and get one to uncork at dinner tonight. I shall raise a glass to Jacques d’Angerville, a great Burgundian wine maker and a fine human being.